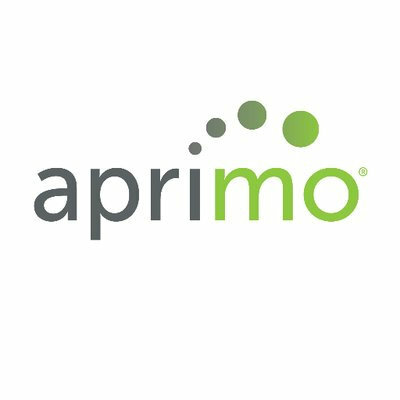 Chicago-based Aprimo has been developing comprehensive B2B and B2C marketing automation and operations solutions for nearly 20 years. Aprimo frees marketers to focus on smart marketing by streamlining and simplifying how they manage the five marketing essentials: planning, spending, creation, distribution and performance. Aprimo's comprehensive suite seamlessly connects the marketing ecosystem, improves time-to-market and maximizes a company's marketing investment. Aprimo Campaign provides Enterprise Campaign Management capabilities from the cloud that allow modern marketers to easily perform deep segmentation on data where it rests (on-premise, hosted, cloud) across multiple sources. These selected and targeted customers and prospects can then be assigned to offers, and connect with email, direct mail, advertising, and other execution channels in the cloud. Aprimo Idea Lab is a new ideation solution that helps content marketing and creative teams ideate faster and better in the early stages of the content ideation and planning process. Aprimo Idea Lab is the only ideation solution on the market that connects into the best-of-breed Aprimo platform, which includes workflow management and digital asset management solutions that help content marketers integrate processes and move more seamlessly through the end-to-end content lifecycle. Aprimo Digital Asset Management helps enterprises deliver engaging customer experiences faster. Digital asset librarians, marketers, brand managers and creatives can manage images, videos, documents and other assets across different stages of content lifecycles. Improve asset reuse and global brand consistency, and publish new marketing materials and campaigns more quickly. Updated in 2017 to be operated completely in the cloud. SaaS-based operations will give marketers an advantage, including increased innovation, faster implementation, scalability to match business growth and a significantly lower total cost of ownership. Distributed Marketing is a channel & partner marketing platform that enables your distributed partners to market with the same level of expertise as if you were doing it yourself. You can extend your reach, deliver a consistent brand experience across touch points, and generate leads. You’ll also have control and visibility to your distributed marketing efforts, allowing you to make smarter business decisions and maximize your return on investment. Marketing Productivity is a marketing automation and operations platform that streamlines team activities for an agile, goal-oriented workflow that produces results that are on time and on plan. Marketing Productivity provides a company-wide view of your activities, prioritizing daily tasks, and intelligently managing cross-functional workstream activities from start to finish. Aprimo Plan & Spend is a marketing resource allocation solution that helps you organize your marketing spend, analyze key performance indicators (KPIs), and manage your resources. Part of the powerful, agile Aprimo marketing operations platform, Plan & Spend allows you to align marketing strategies with activities, visually configure budgets, and adjust both as needed to ensure success.